we'll be happy to try and create a design especially for you! 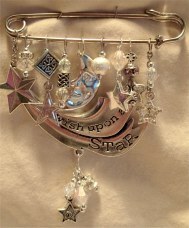 The 4: Kilt Pin features all kinds of little Celtic beads, moons, suns, stars and lots of Swarovski crystals. Measures 4" high. 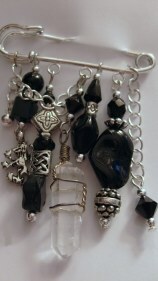 Just black, no two beads alike, lots of small Celtic findings andeven a Scottish lion charm. 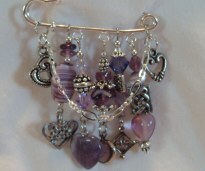 The gorgeous clear quartz crystal adds a fantasy touch. Good harmony. Children need protection so the tiny gold-toned feathers take care of that. 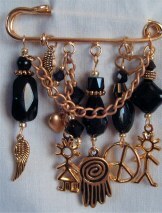 Small boy & girl charms, Peace symbols and the Spiral Hand for protection all accent the jet colored Czech glass beards. 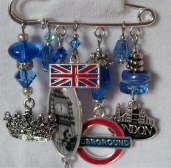 If you enjoy blue and a unique type of pin, this is for you! 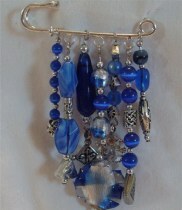 Lots of glass beads in various shades of blue from Cobalt to Royal. 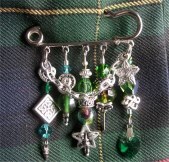 The pin is, adorned with tiny Celtic charms and findings. Pin is 4" wide. 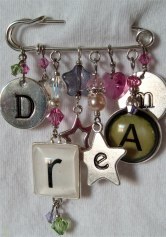 Now you can give a special, personal gift....with creativity! 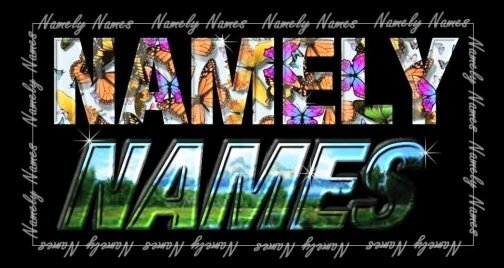 Name prints incorporate over 80 wonderful, original designs to choose from....Baby, Sports, Animal, Ethnic, Scenery and more. 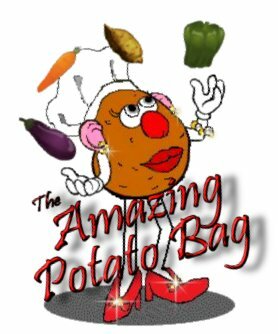 Now you can have that wonderful restaurant taste of a baked potato right in your home..within minutes...in YOUR MICROWAVE!! So easy to use in't "Amazing!" Decorative Painting, Wall Murals, Tronpe L'oeil & the Amazing Potato Bag! Visit our web page dedicated to Adrian Paul, (the actor), the Highlander and humanitarian. Hand painted animal rocks! You have to see these to believe them. 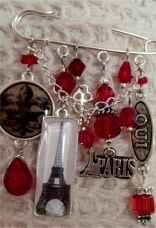 Unique and fun gifts!